We are delighted to invite you to the 3rd International Conference of the UNESCO Global Network of Water Museums in Valencia, Spain, from the 12-15 June 2019. Hosted and organized by the Water Tribunal of Valencia (member of the Global Network of Water Museums) and by the University of Valencia (Office of the Vice-Principal for Territorial Projection and Society) with the support of the Generalitat Valenciana, in cooperation with Civiltà dell’Acqua International Centre and the University of Venice Ca’ Foscari, the 3rd International Conference of the Global Network will take place in the city of Valencia and foresees a number of field trips in the cultural landscape of the huertas of Andalusi origin. Tuesday 11 June : Arrival of participants, registration and welcome dinner. Wednesday 12 June : Opening ceremony and introduction to the Global Network programme 2019-2020. Parallel interactive seminars on: Communication, Social Media, Education, Art and indigenous Water Cultures. 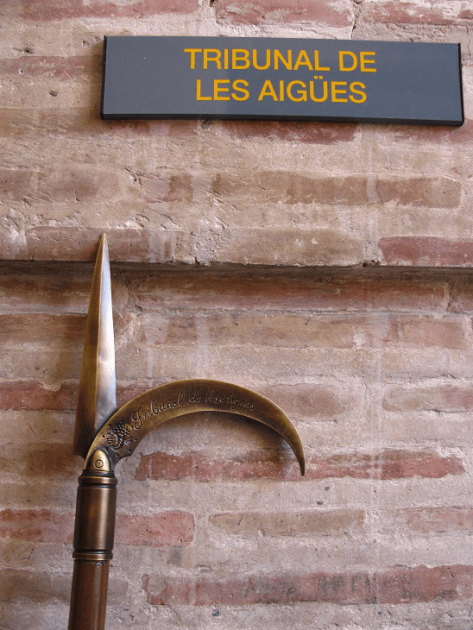 Thursday 13 June : Public ceremony with the Water Tribunal of Valencia on the occasion of the 10th anniversary of inscription in the UNESCO Representative List of the Intangible Cultural Heritage of Humanity. Friday 14 June : Plenary session on Heritage, Waterscapes and Water Museography.